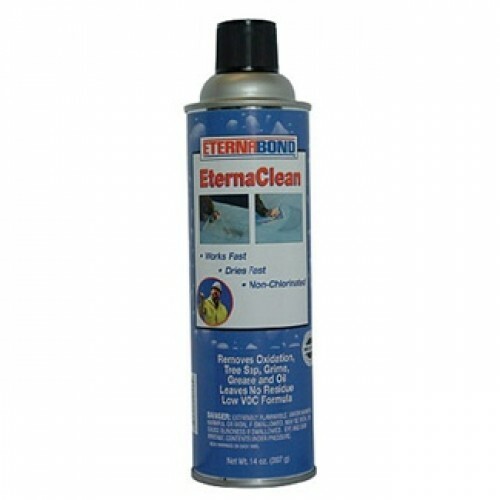 EternaClean Spray Cleaner is formulated with a proprietary mixture of hot solvents, designed to “open” single-ply roof membranes and metals. Allows the surface to release contaminants like oxidation, grime, oil and grease, tree sap, etc. EternaClean Spray Cleaner leaves no residue, dries fast, and is non chlorinating so it is environmentally friendly and therefore legal in all states. 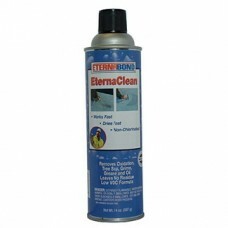 EternaClean Spray Cleaner prepares surfaces for the application of EternaBond® MicroSealant tapes as well as other sealants.